Randy Gardner submitted this photo and caption. 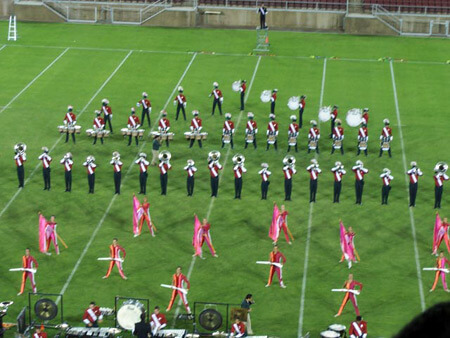 This is a nice pic of Santa Clara Vanguard in 2007 at Stanford Stadium. This Saturday, July 5, the Vanguard returns to Stanford along with the Blue Devils and the Phantom Regiment in the best show on the West Coast. Learn more about this year's DCI West Championship in Stanford.